Have you heard of Banh Mi sandwich before? I have, but never tried. The Banh Mi translates to bread of baguette in Vietnamese. It is a French-Vietnamese fusion food born during the French colonisation of Vietnam. It is a crisp baguette commonly filled with barbeque pork, pickled carrots, cucumbers, coriander, jalapeno and the occasional spread of pate with a drizzle of sriracha sauce. 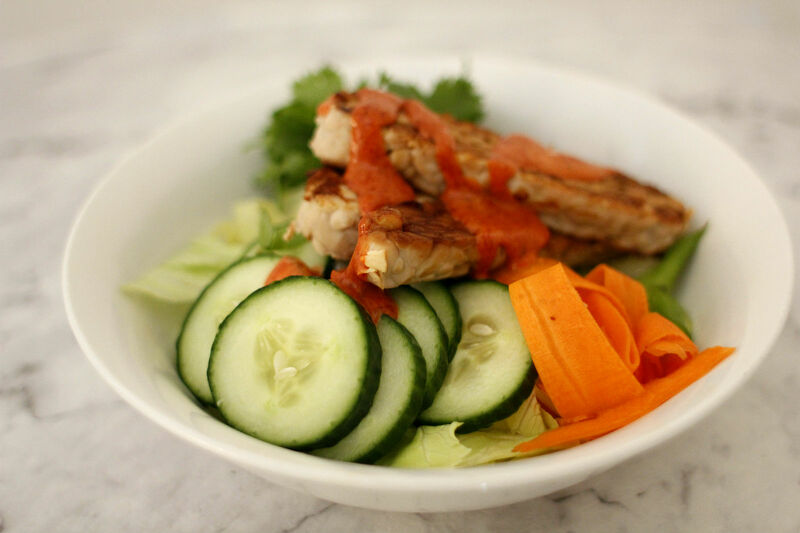 My version of Banh Mi is a deconstructed, gluten-free and vegan salad with a Korean Gochujang dressing. It is light, crisp, fresh, healthy and loaded with flavour. You wouldn’t miss the bread or meat. 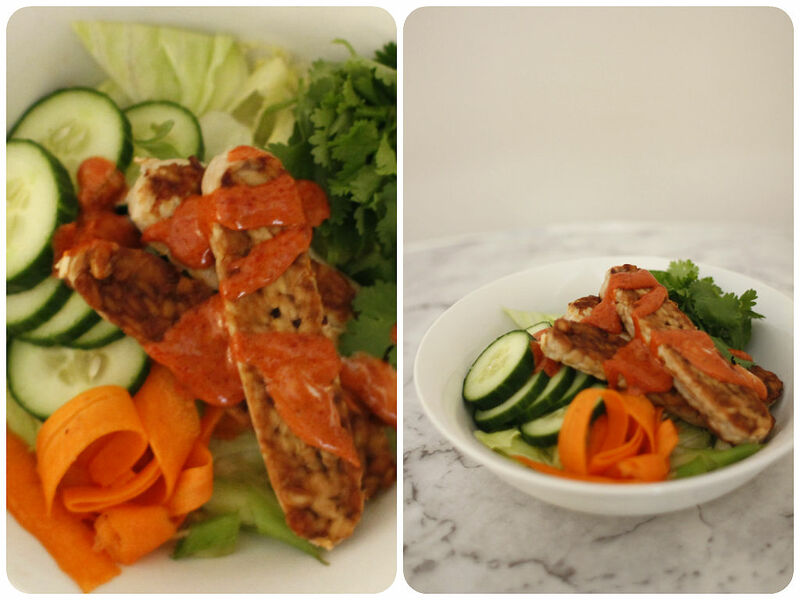 If you are on the go, you can use this salad as fillings for sandwich, wrap or spring rolls in your lunch box. Thinly slice tempeh and marinate in the sauce for 10 minutes. In the mean time, prepare vegetables and dressing. Heat coconut oil in a frying pan and add marinated tempeh. Cook for a couple of minutes each side. To assemble, put your salad veggies on a plate, top with the tempeh and a drizzle of the dressing.